Designed for countertop use, the Pro-Tec Pig rack holds up to ten Pro-Tec Pigs safely and conveniently. 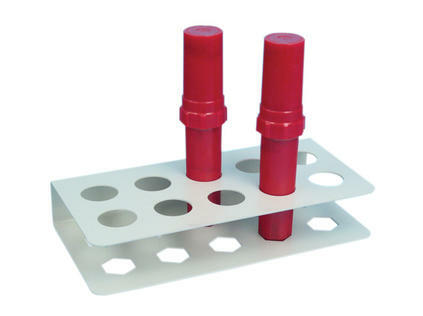 The bottom of the rack has hexagonal cutouts that match the bottom of a Pro-Tec Pig to ensure each pig is held securely. When inserted into the rack, the pig can be easily opened or closed with a single twist. Note: Unit Dose Pigs are sold in lots of six.